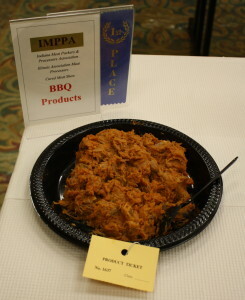 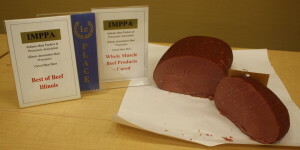 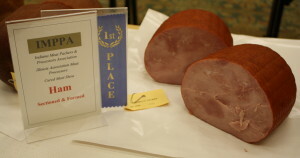 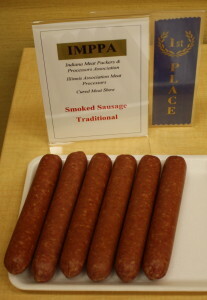 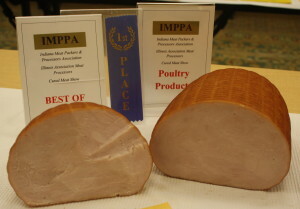 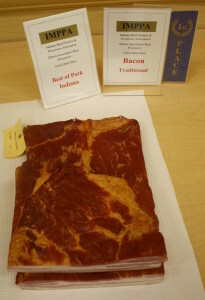 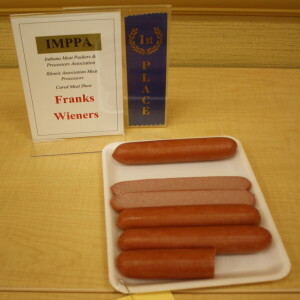 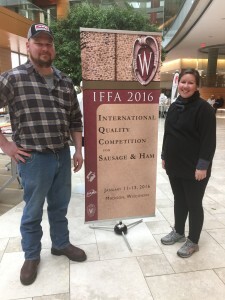 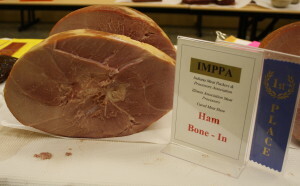 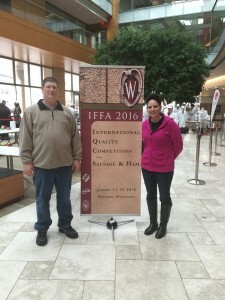 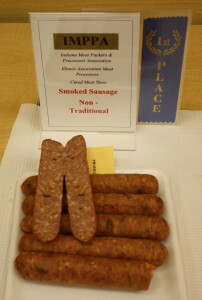 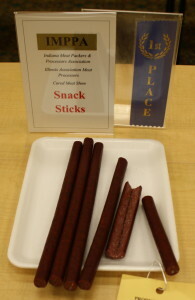 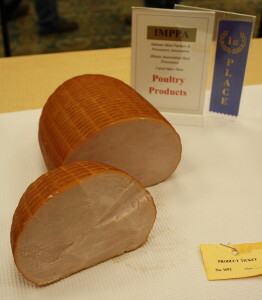 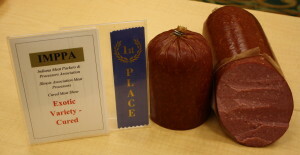 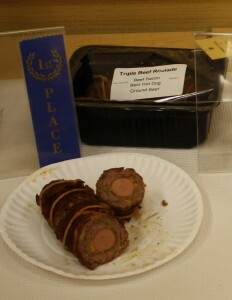 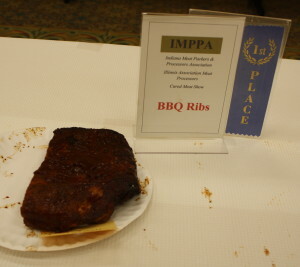 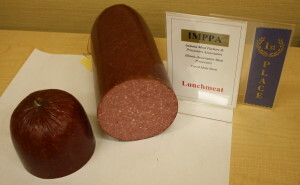 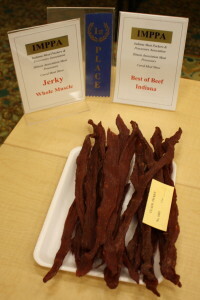 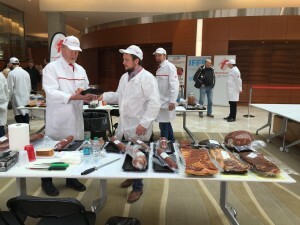 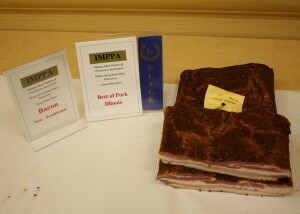 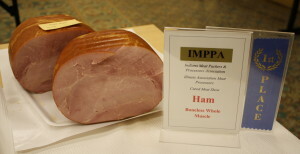 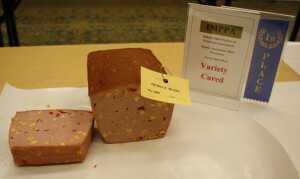 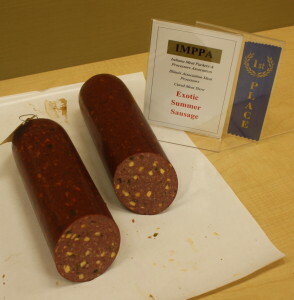 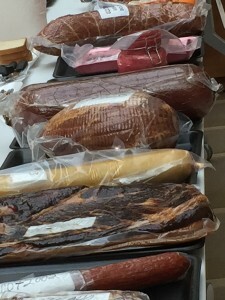 The American Association of Meat Processors (AAMP), in partnership with the German Butchers’ Association (GBA), and the University of Wisconsin Meat Science Extension held the first ever IFFA Quality Competition, in Madison, WI January 2016. 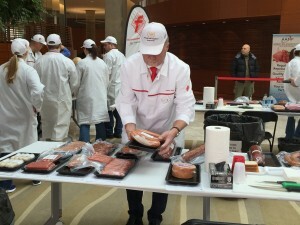 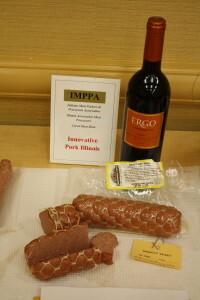 During the evaluations, each product was judged against a gold standard by the same judges as those used for the competition taking place at the IFFA show in Frankfurt, Germany in May 2016. 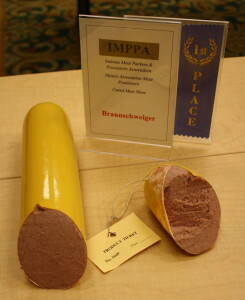 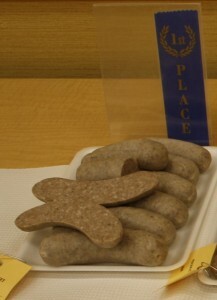 Each item submitted received a score with the possibility of earning a gold, silver or bronze medal, or no medal at all. 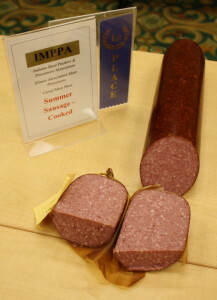 Winning an award is a very prestigious honor as these medals signify the products are considered some of the best in the world. 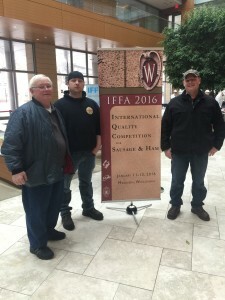 We were proud to have three of our Indiana plants participate in the competition and take home several medals!